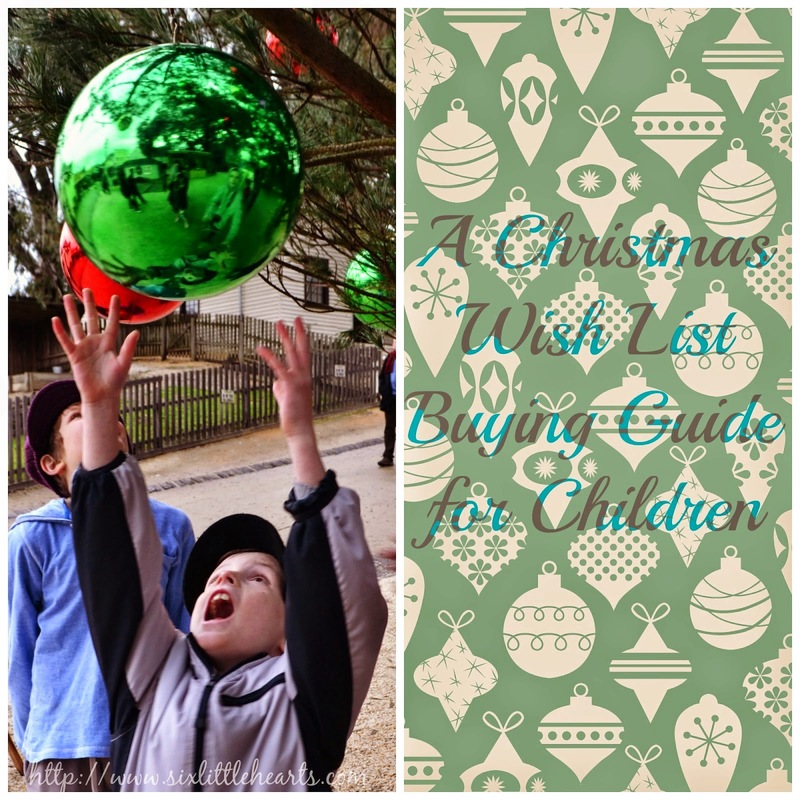 Wow, Christmas is fast approaching yet again and I am beginning to feel that familiar pressure when it comes to selecting and buying toys and requested items for the big day for my six children. Obviously there's the financial pain of the season to contend with felt by most parents but on the lighter side of that, is the challenge to find exciting new playthings which will engage your child for longer than five whole minutes. Ever bought your child a toy like that? ; Something that was discarded out of disinterest within minutes of being unwrapped? It gives you a very horrible sinking feeling in the pit of your stomach as a parent to witness that. I dislike the wastage and consumerism of the Christmas season and so I am very particular about selecting items that are educational, enjoyable and engaging for my children. A good toy pick should be strong enough to go the distance and continue to have the 'pull-power' to keep drawing them in further down the track. I firmly believe the Leapfrog brand offer these three impressive elements. They've been a high-standing brand in my mind for many parenting years now. LeapFrog recently sent my two youngest children a parcel of goodies for their enjoyment. You can bet my little road testers were pretty pleased about that too! Miss Celeste, (once the excitement of the post box itself wore thin!) descended upon her LeapFrog Mobile Med Kit with all the urgency of a true emergency department professional. She rolled its little ambulance housing, fumbled and fiddled, pressed buttons, clapped her way through its happy tunes and admired its inclusions with lots of enthusiasm and interest. This little girl of mine is almost two now and has begun to branch out into the exciting world of pretend play. We've had a couple of medical toys over the years and they've always been very successful playthings with this age group. Our existing medical kits were well and truly beyond their use-by however so a shiny new toy with all her favourite medical bits and bobs is a huge treat indeed. The Mobile Med Kit is a good, sturdy, rolling ambulance with a cute face and an even cuter personality. No need to worry about your child taking tumbles pushing this, even when they lean all their weight on it while they do so. It has a good design being wider at the base which makes it able to take a bit of punishment at the hands of your toddler. The little ambulance itself speaks and sings with a good, crisp British accent (love that! ), and its sweet little voice comes in two volumes too so that Mum and Dad can still hear the TV. The ambulance encourages your child to complete medical missions and rush to the aid of a patient to the tune of its siren. The Mobile Med Kit stores everything on board and can be easily carried or rolled from room to room by your young child. Medical toys are a fantastic way to acquaint your toddler with the real workings of a regular doctor and this little toy is designed to educate your young one about the human body, health and hygiene. The Mobile Med Kit by LeapFrog retails for RRP $34.99 and is suitable for the 2 plus age group. Taite was beside himself with joy when the latest LeapFrog Leap Band appeared. This sensational toy is designed for the 4-7 year age group and Taite sits right in the middle of that at 6. He's an ever-active boy in need of constant entertaining and the Leap Band is the perfect toy to rope him in and give him purpose. Leap Band is a small gaming device which is worn on the wrist. This is not just a watch however (though is does have a time display). Leap Band is packed full of fun activity inspired learning and it is powered by play. Every movement and every activity is designed to get the wearer physically busy and earning 'joules.' Joules to us grown ups are units of energy but for kids with a Leap Band these are depicted as actual jewels. Earning enough jewels unlocks up to 8 animated pets which is a huge incentive to get into action for a fun reward. The device comes with one pet unlocked and ready to customise. Additional pets are a real physical workout and not so easy to unlock as to make the toy redundant quickly. The device has a brilliant high resolution colour screen and again, a pleasant British accent. It does not require batteries thanks to an included USB - simply dock to your PC to charge. There are even parental controls so that you can lock your child out at bedtimes and during school hours. Setting up the Leap Band was super simple and it took around 20 minutes to fire itself up with the included USB. There is very little to do to get it functioning as it pretty much does it all for you. Parents just need to register the device or sign into their LeapFrog account as part of the process - all prompted and all easy. Watching my Son play with his new Leap Band is so entertaining! Taite spent a good long Sunday afternoon getting to know his new device and I spied him doing the sweetest little challenges as he worked towards powering his pet and earning new ones. I witnessed him pretend to walk like a penguin, wade through imaginary water while carrying ice cream, and even crawl like a worm on the ground! There are too many activities to list here. The Leap Band has initiated unexpected play opportunities with additional family members too which I am very happy to see. There is sharing happening here! When Taite gets a bit worn out from earning joules, he passes his Leap Band over to a Brother to continue the action. The boys all hit the trampoline together to 'up' the chances of earning even more joules! One Leap Band equals lots of worms slithering...! I think this device is fantastic! It is very engaging for all the reasons I have mentioned here and well worth the RRP of $59.99. Despite the recommended age range of 4-7 years, my 8 and 10 year old Sons were extremely interested in this toy too. LeapFrog toys are available in department stores and toy stores across Australia. Visit the LeapFrog website here for more information on these and other great toys available in the range. LeapFrog would like to offer two Six Little Hearts readers the choice of one of these two toys to win! Choose either a Leap Band (Valued at $59.99) or Mobile Med Kit (Valued at $34.99) for your child. Total prize pool is $94.98. Please share the love! Let your friends know about this review and giveaway by shouting out about it on your social media using the options below this post. Entry is easy. Just follow the prompts on the Rafflecopter App below. (App may take a few seconds to load.) Please note: Four of the entry requirements are mandatory so be sure to follow the simple steps to ensure your entries count. Important: Please leave your name along with your comment so that your entries can be matched. *Disclosure: The items reviewed in this post were gifted. Opinions expressed are those of the blog's author. Santa's Magical Kingdom - Win A Family Pass! Will be a unisex hit! Taking their mind off so they don't moan! Hello six little hearts, I have 3 young boys that would go crazy for the Leap Band Pet, maybe our real dog Jewels will get a break from being constantly carried around. With 16 grandkids under 14 either prize would find a very loving home! Thankyou. There are so many techno devices out there it is bamboozling but I think looking for a toy that makes a child think through a problem before going to the next stage is a must. It uses their brain and isn't just a mindnumbing shoot or jump. Having 2 girls in the 4 - 7 yrs range, we would really get a lot of use and fun from the LeapFrog Leap Band. And the fact that it is only one unit is great. We have lots of toys with little bits and pieces as part of it and they inevitably get lost. this would help my friends son with his speech. Very cool giveaway, My Son would love this!! I consider a good quality toy to be anything that has an educational element to it as well as the fun aspect. Bub would love the mobile med kit. I have little people that would be happy with either prize. A good quality toy in our house is one that can be enjoyed by many, and can handle being shared. To me, a good quality toy can be played over and over again, and kids are never fed up with it. My little one would love the mobile med kit. That wrist thing is cute - I'd wear it! We love toys that allow the boys to use their imagination, are good quality and will stand up to a lot of toddler tough love! My boys would love the medical kit, they are just starting to play together much more which is so beautiful to watch. I love toys that entice learning without the child actually feeling like they are. Fun and interactive toys are my favourites! Thanks for the chance, would love the Leap Band, they look amazing! PAL.. play and learn, I can put hand on heart and say the leap pad helped my non-verbal 4 year old to communicate. He is six now and doing really good. The leap band would be cool for my 3 year old. Not entering but I would like to second the awesome review and how wonderful the leapfrog toys are. Glad to see your kiddies having so much fun and keeping themselves busy! Thank you for the opportunity to win one of these great prizes. I love toys that are lots of fun and if possible educational too! A toy that sound can be turned off on! I love toys with no annoying fiddly bits. I also like toys that suit more than one age group or that grow with them meaning they last longer. These toys sound great, either would be a hit at my place. We like your answer - congratulations you've won a Mobile Med Kit! Certainly not a wasteful gift this Christmas! Will be in touch shortly. Thank you so much! You've made my day!!! I love teaching toys that let them interact and use their imagination. there are alot and sometimes can be confusing. I can always rely on Leapfrog, their reputation is outstanding. I would like the The LeapFrog Mobile Med Kit, but would be happy with either as well, thank you. A toy with hidden educational qualities, one where they are learning without realising! Would love the Medi kit for my little nephew! Love well made, good quality affordable toys! Educational is an added plus! Honestly I'd be happy with any prize...having one of each I'd be grateful for anything! Leap frog toys are the best, educational, lasting and puts a smile on the kids dial :) I would be happy with either thanks for the giveaway. A toy that doesn't break when it gets dropped is my king of quality toy. A quality toy to me is one that is hard to break, the child can learn from and also who won't ever want to part with. Either would be fantastic as they are such fun toys! It has to stand up to being thrown across the room and a few drink spills, as well as being fun and not brain sapping! A good quality toy is one that keeps a child interested and is strong and sturdy enough to withstand their enthusiasm. My daughter would love the Leap frog leap band. My daughter would love the "Leap Band" a clever invention that combines fitness with play! If a toy encourages imaginative play, is educational, and is a whole lot of fun, then it is definitely a quality toy! Either would be welcomed in this house! My daughter would love the leap band as she is fascinated by my GPS watch whenever I go running and loves to see my results on return! A toy with good durability and entertains the children for long periods of time. Also something that allows them to use their imagination. My son would love the Leap Band. A good quality toy is one that can deal with my 3 sons, and one where the volume can turn off. My little one would love the Mobile Medi Kit. A toy that can take the rough and tumble punishment that a child will likely give it, is educational and encourages learning and creativity in its user. Leap Band. One that engages through more than one stage of their lives and is still working when the time comes. A good quality toy is one which grows with the child- being revisited over and over, and lasting the time. It's also a toy that Mum and Dad don't get sick of either, and it's a bonus if it engages my son for a good length of time so I can finish a coffee. We'd love either of the toys at our house. Bright colours are awesome, they are happy and playful, just like the childhood's that all kids deserve.